Winning an Oscar Award is one of the most coveted things for people in the film industry. Getting nominated is already such an honor, so winners are more than applauded, they are admired. While Oscar winners are usually lauded for their skills, oftentimes, these winners are inspiring people for more than just their craft—they inspire people through their words, actions, and social responsibility toward others. It took several Oscar nominations before the Revenant actor finally won his own little golden statue. However, he has been inspiring people with his work—besides being an actor and producer, he is also a representative on climate change for the United Nations and a champion for the environment via his own foundation. Her versatility as an actress draws people to her—her nineteen nominations, the most any has ever gotten, are proof of the mastery of her craft. She portrays strong, independent women in many of her films, but perhaps the most important lesson that Meryl Streep imparted on her fans and audience is that it is important to be compassionate toward others. The first black woman to win an award as Best Actress—and the only one since then to have ever gotten the award. While she is remembered as part of the X-Men franchise, she actually had more on her plate than just being a mutant. She is a serious actress, but also a film producer, former fashion model, and a “Woman of the Year” awardee from Hasty Pudding Theatricals for fighting against the Cabrillo Port Liquefied Natural Gas Facility proposed off the coast of Malibu. Who says only actors can inspire? Screenwriter and author Graham Moore is proof that even people from behind the scenes can inspire audiences directly or indirectly by the work they do, if they do it with passion. After her best breakthrough performance and following win in the Oscars, she used her voice and celebrity status to return to Kenya and advocate for elephants in the international conservation organization called WildAid. She is also involved in Mother Health International, an organization that is dedicated to providing relief for women and children in Uganda and other impoverished and war-torn countries and regions by creating birthing centers, feeling that bringing to light these issues is mandatory for her as an artist. 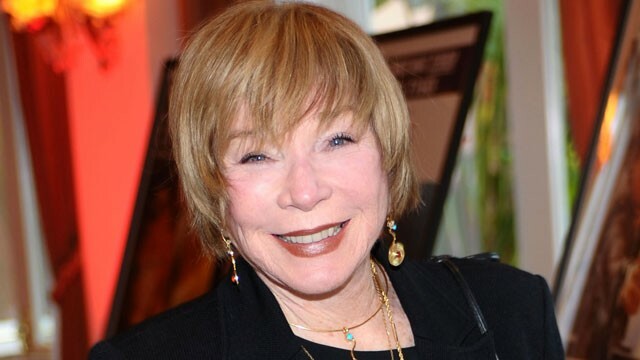 Strong-willed and outspoken, Shirley MacLaine uses her celebrity status as an instrumental role for fundraisers in campaigns that she believes in. She was a key fundraiser and organizer for Geroge McGovern’s presidential campaign in 1972. She earned her star on the Hollywood Walk of Fame in 2007, and more than anything, her celebrity status showed that people who work hard enough for their dreams will eventually succeed. Swank has a rags-to-riches story as she went from living on a trailer park, to living in a car, to becoming the star that she is today. Are there any more Oscar winners whom you think are inspiring people with the words they say and the work that they do outside of Hollywood?